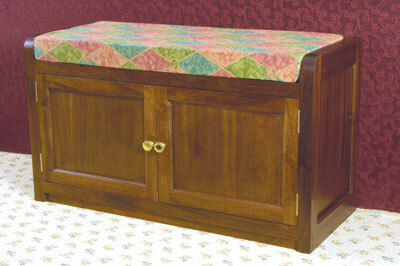 The final piece of our Adirondack furniture suite is this stylish and easy to build footstool. We wrapped our storage ottoman in faux cowhide suede and added extra padding and a thick foam top to make it extra cuddly and perfect for a nursery or children\'s bedroom. 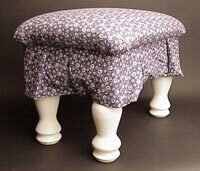 Some great free foot stools plans.